The Richter Optica HS-2B is a versatile high school compound microscope. A few features make this microscope one of the most popular microscopes across high schools in the United States. Binocular eyetubes are adjustable from 55-75mm with WF10x eyepieces. 40x, 100x, 400x, 100x magnification. Retractable 40x and 100x (oil) objective lenses avoid damage if moved into contact with the stage. Frame provides easy carrying handle. Cord is attached and not removable - no lost cables in classrooms or at home! LED light is cool and provides long-lasting bulb. Mechanical stage is attached and locked on. Coarse and fine focusing allows for a crisp and clear image. 100~240V allows for use in all countries. 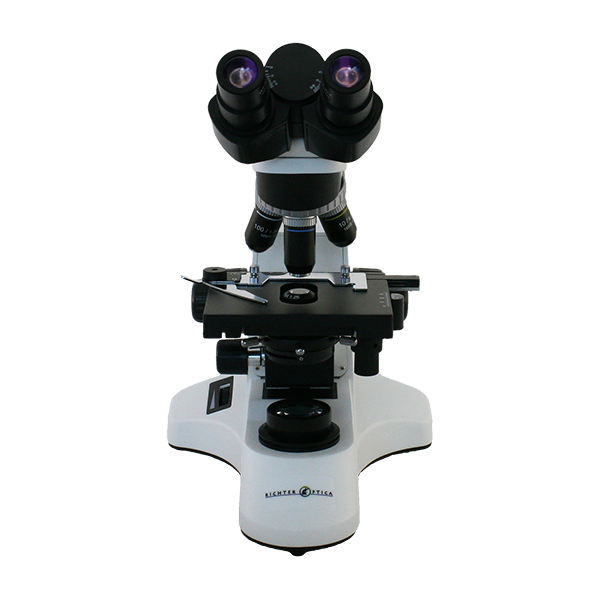 Microscope is also available in pared down 400x magnification model, HS-2B-3. The HS-2D is a digital version of this microscope. The HS-2-WiFi is a WiFi wireless version of the microscope where you can connect up to six tablets or smart phones. 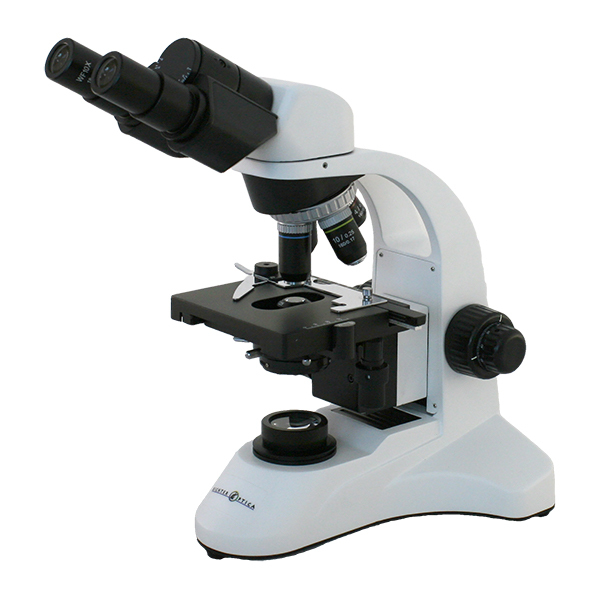 The Richter Optica HS-2B high school compound binocular microscope can be found here.